– How many pizzas do I want to cook at once? – How many people will I typically be feeding? 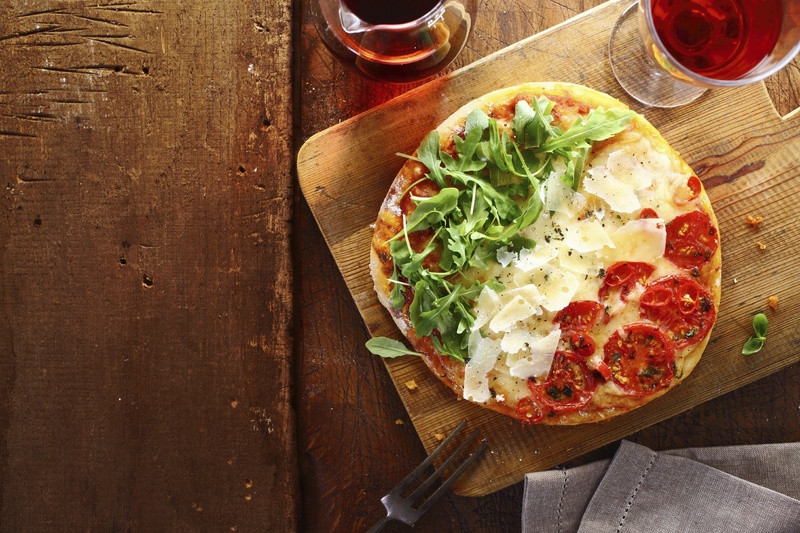 oven, or a starter pizza oven? – Do I want to cook my pizza in an outdoor oven, or an indoor oven? oven? Will I be able to master the art of wood-fired cooking? – What are my expectations when it comes to my oven’s lifespan? All should steer you towards the type, size and of oven you need. Check your postcode & don’t get shut down! Before buying a wood-fired pizza oven, make sure it won’t turn you into a law-breaker. Many UK cities and big towns operate Smoke Control Zones, where your oven needs a DEFRA license to operate legally. Note the words ‘your oven’. Don’t see a DEFRA logo on a pizza oven seller’s website and think this means all of the ovens are approved by DEFRA. Do your homework thoroughly, or your oven’s operation may be in jeopardy if environmental health officers feel its emissions are polluting your neighbourhood. Even if you have a legal, DEFRA-licensed oven, you could still cause an environmental problem, by burning the wrong wood. Make sure you only burn wood with a moisture content of less than 20%. This is easy if you look for the new Woodsure mark, or buy an eco-log made from compressed beech. Look for ‘O Sole Mio’, ‘Piccante’ or kiln-dried logs. Pizza requires a base and, 99% of the time, it’s made from dough. If you’re a hands-on cook, not intimidated by making and stretching your own dough, or someone who wants to de-stress by doing this, that’s super, but don’t think it’s your only option. You can easily purchase frozen dough balls that you can simply de-frost and roll out. Then, you can go as wild as you wish with your toppings, sticking to tried and tested ones, or devising something more adventurous, if you wish to experiment. If you want to cook pizza, you are highly likely to need a good tomato sauce recipe, to give you a great tasting base layer for your pizza’s topping. The ‘Manciocchi Maestro’ – Valoriani UK’s director Andrew – has a great recipe to help you out with this. Whichever outdoor wood oven, gas oven, or indoor pizza oven you choose, push yourself a little and cook dishes other than pizza in it. 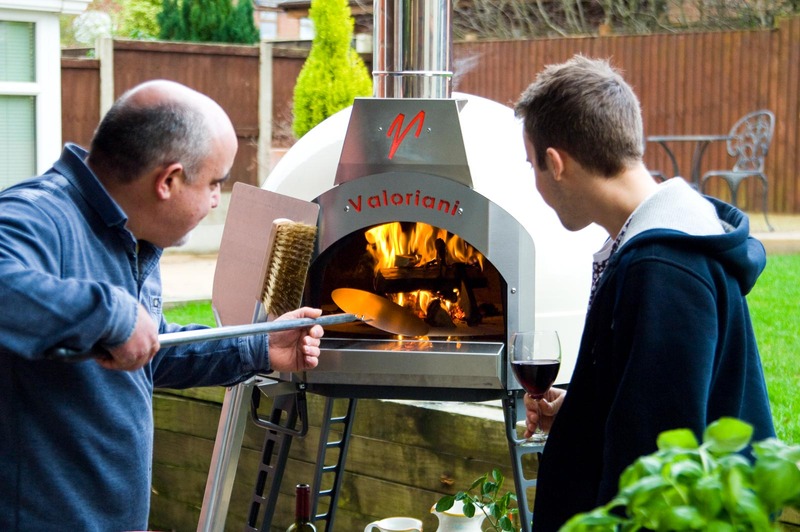 If you have a ‘proper’ pizza or wood oven, manufactured to the standard of a Valoriani, you needn’t worry about over-doing it and having it fall apart, much to your embarrassment. Choose some of the things you most like to eat and try cooking them the wood-fired way. It will give them a unique aroma and taste, maybe making some of your favourites even tastier.. Aim to make owners of other outdoor ovens jealous, by ensuring you buy a wood or garden oven that will cater for your party guests in the evening, but still be warm enough to cook those staying over a full-English breakfast the next morning. Now that’s how to keep friends and influence people!